Tre and I have been using the same mattress I used for my room when I was a kid. The mattress was so old that when we would wake up in the morning, we were sore. We knew it was time for a new mattress. We hesitated to buy because we knew for sure we wanted a really good one (no more neck/back pains!) but also knew they were costly. Most well-made, high-quality mattresses cost at least $2,000. We knew that was not in the budget. We started to consider purchasing a Tuft & Needle mattress. My in-laws have it in their guest bedroom, and we loved how comfortable it was. Plus, it was only $600 for a queen size mattress. Yes that’s right $600! Fortunately, I had the opportunity to review their mattress. The timing could not have been more perfect. It has been a month since we’ve gotten our mattress, and let me tell you it did not disappoint. Without a doubt, we have been getting a really good night’s sleep each and every night. What makes a Tuft & Needle mattress so unique is that they engineered an adaptive form based on customer feedback. So this is more than just a memory foam mattress, it is a foam based on comfort and support. It is ideal for any size and weight. The more pressure you put on the mattress, the more support it provides. The mattress is also designed to keep you cool. For me, that had been a struggle with our old mattress. My treatments (especially during chemo) have put my body into a menopause state. Therefore, I am always getting hot flashes. And let me tell you, it is very uncomfortable especially during the night – aka not having a good night’s sleep. The foam keeps your body cool by heat wicking. When heat is drawn into the mattress, the gel & graphite in the mattress work together to draw the heat out. The fabric around the foam mattress is breathable which creates air flow and helps boost the speed of the heat out through the mattress. Not only is there a support layer that creates the perfect foundation for your mattress, but it also helps hold you closer to the surface to avoid the all too common problem amongst other mattresses of sinking in too deeply and becoming too hot. 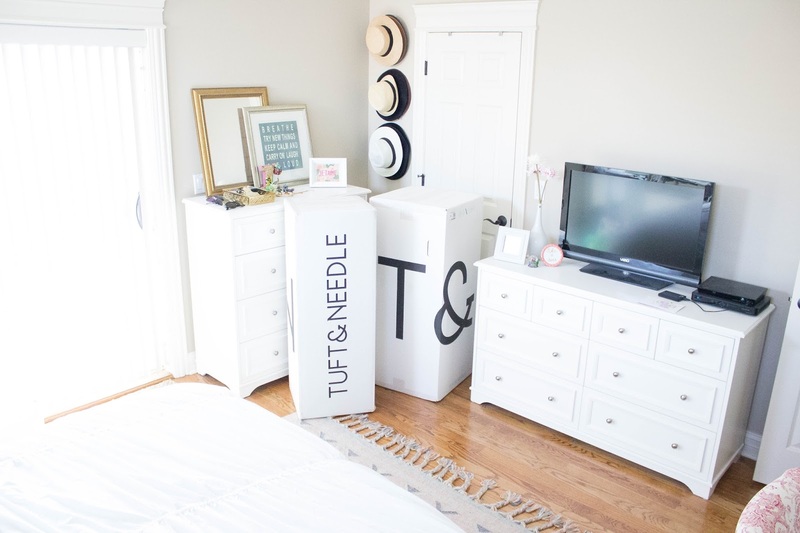 I promise you it is one of the best mattresses I’ve ever slept on and I would have purchased this mattress whether or not Tuft & Needle reached out to me. The timing was coincidental. If you are on a hunt for a mattress, I highly recommend them. They have amazing customer service. Plus, they have a 100 night trial. If after 100 nights you are unsatisfied with their mattress (which I don’t think will ever happen), you can return it back with no hassle. They also have a 10 year warranty. Their mattress is built to last. 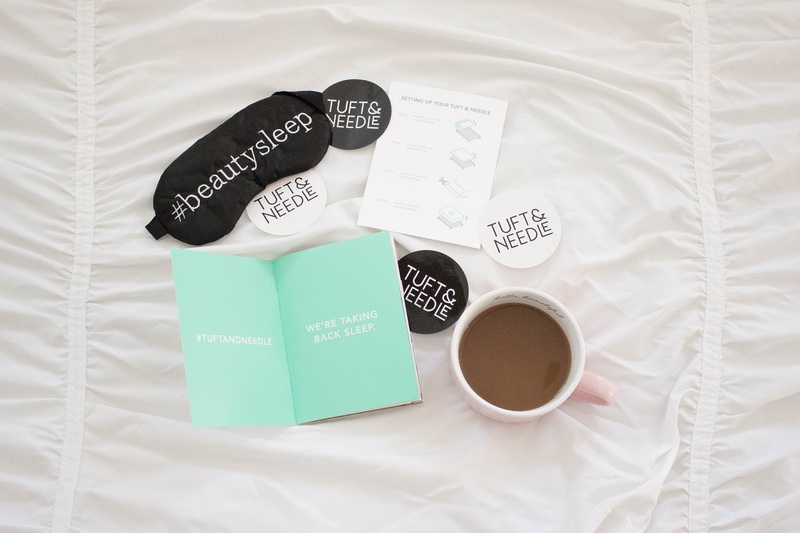 If you guys ever used Tuft & Needle, I would love to hear your thoughts! Like I said, this is my honest opinion! I was fortunate enough to collaborate with them! Lol I love having a lot of pillows! Oh my gosh, don't get me started on mattresses–where I live now came furnished, which I thought was suuuuch a good idea. I didn't have to buy anything. BUT the bed it came with is soo uncomfortable. Always, always, always invest in a good bed, lol! Oh no!! Hopefully you can get a new one! Sounds amazing!! Glad you were able to get a new one you enjoy so much. It is! Such a relief to a get a new one! Never heard of that company but it sure does sound comfy, and cozy! Looks super comfortable and cozy. I'll have to check it out! Your pictures are great as usual.. I really loved this post. Amazing post with gorgeous photos ! The lighting in your room is awesome. I'm going to need this for my king size mattress! A good one is so worth spending! Amaaaaazing! 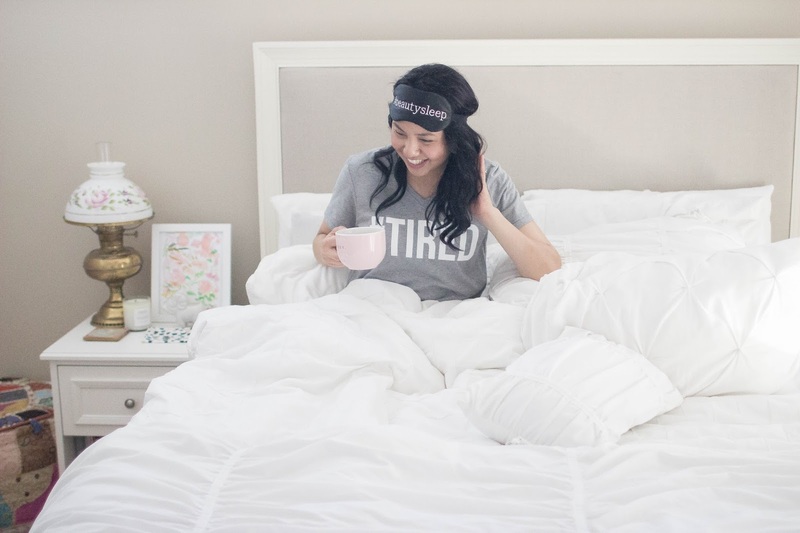 Love that it keeps you cool- I hate waking up with sleep sweats, and I can imagine that was so ridiculously uncomfortable for you during treatment! Love this, lady! Haha I hate it! So I'm so glad it has kept me cool! I feel like one of the best things about adulthood is getting to decorate your room an having a COOL BED! 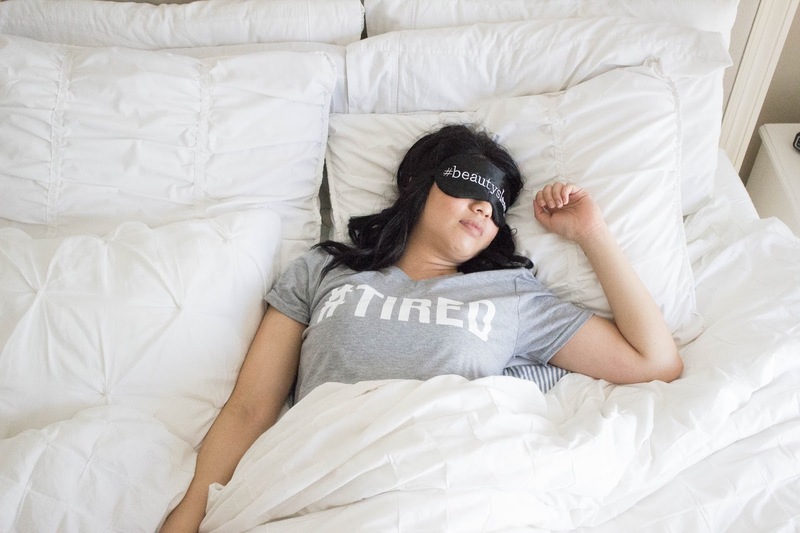 A good mattress makes all the difference for a good night's sleep! The hubby and I purchased one when we moved to our home and I actually miss it when I travel. This Tuft and Needle one is such a steal! I completely agree! I know it is so cheap for a good mattress! Love these photos! I've heard so many good things about these mattresses! Thanks Tonya! They really are great! Please allow me to laugh a you…….hahahahaha! Using the mattress you had a s a kid and waking up sore, am sorry that kinda sounded funny and familiar because that is what I sleep on when I visit my grand mother and I know the feeling of discomfort and actually dreading to go to sleep. Am sorry that you had a hard time especially during chemo. Am glad you now have an amazing mattress my dear, which means great sleep! It was too perfect haha! Thank you! Wait, did you say $600?! We need a new mattress like something serious. Ours is TERRIBLE. With all the home renovations we assumed our days of getting a new one were far away. I am heading over to this site to see what this is all about!!! My wallet thanks you! Yes girl $600! I hope you guys like it! !